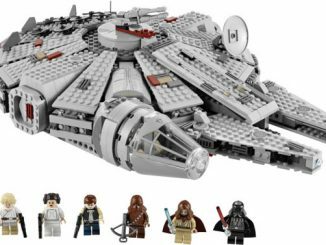 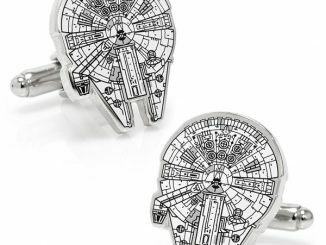 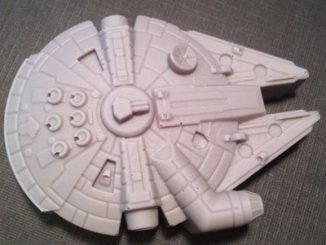 Do you like the Millennium Falcon? 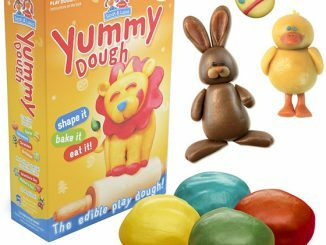 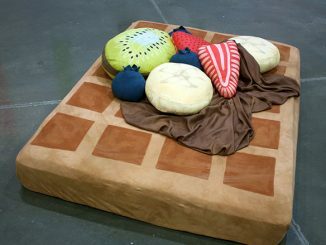 Do you like it enough to eat it? 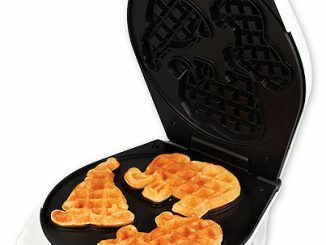 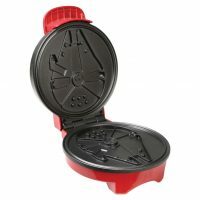 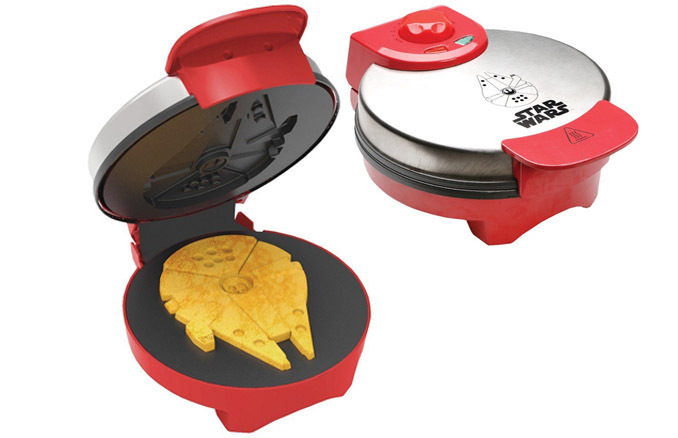 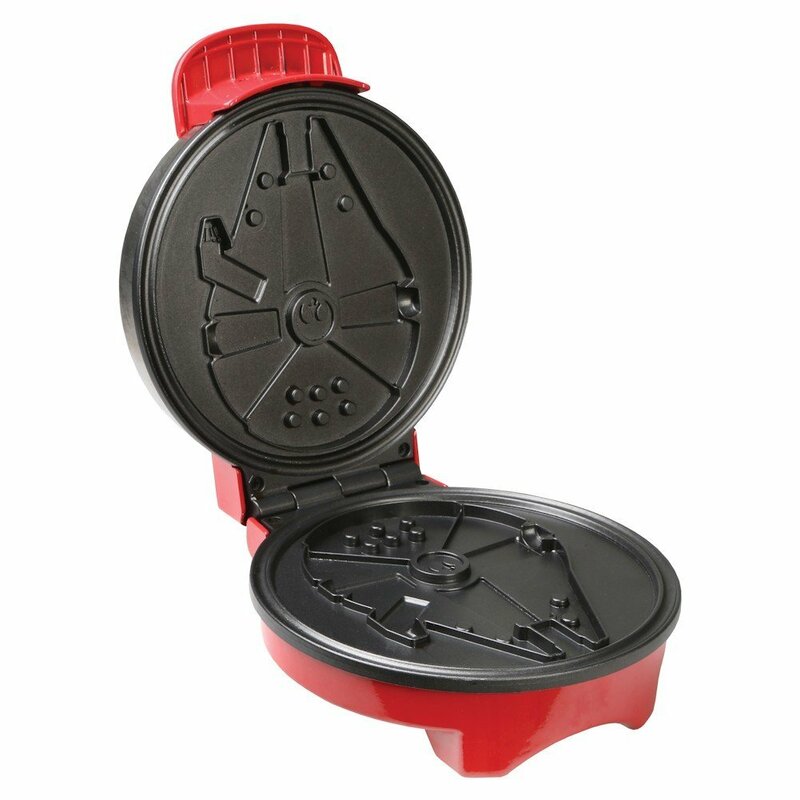 Well now you can, thanks to the Star Wars Millennium Falcon Waffle Maker. 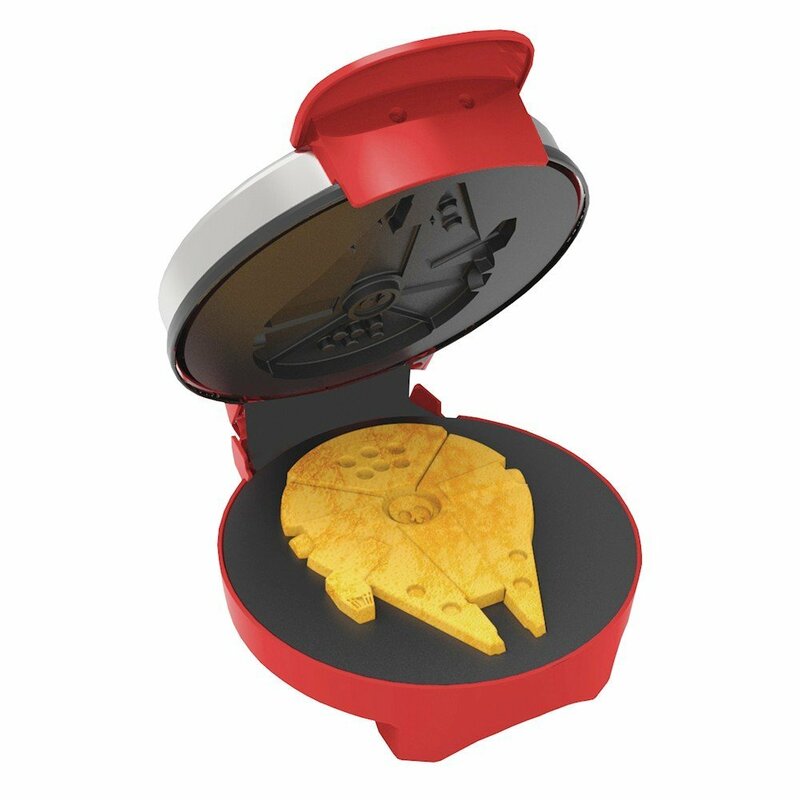 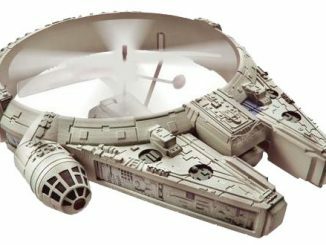 Measuring 7.75″ x 9.5″ x 4.75″, this officially-licensed waffle maker lets you make waffles shaped like the Millennium Falcon. 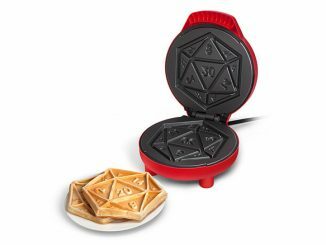 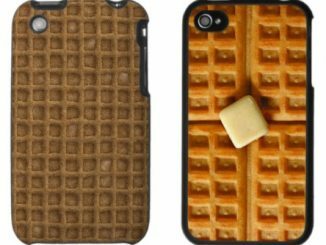 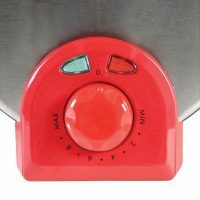 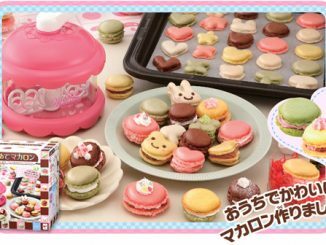 The non-stick waffle plate makes sure you can move the ship to your plate with minimal damage, and all of the tiny little details in the design make perfect pockets to catch and hold butter and syrup. 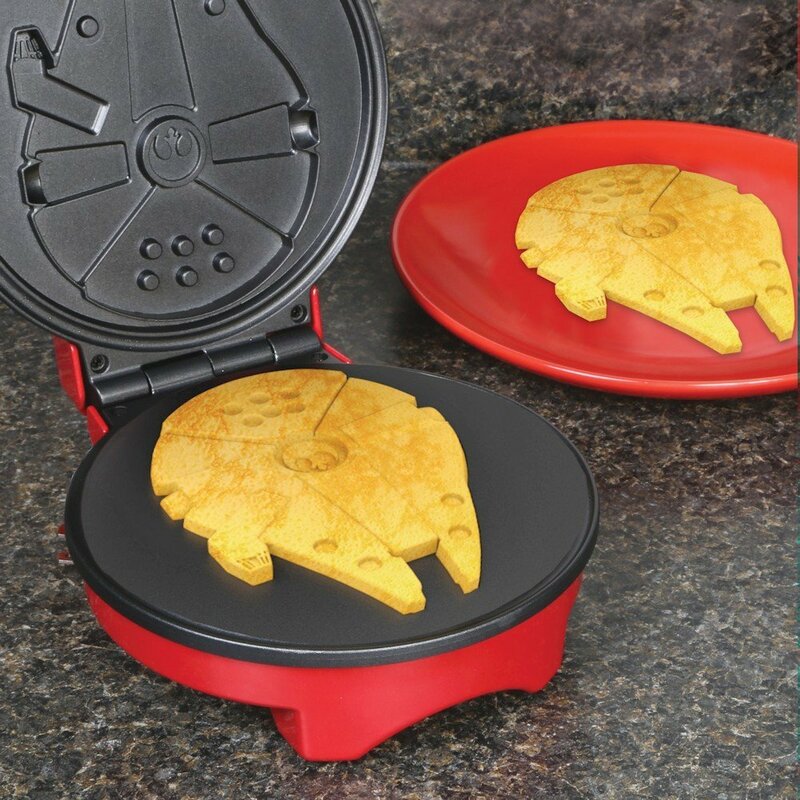 It might not help you do the Kessel Run in record-breaking time but it’s a yummy way to start your day. 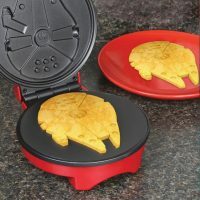 Need more Star Wars yumminess? 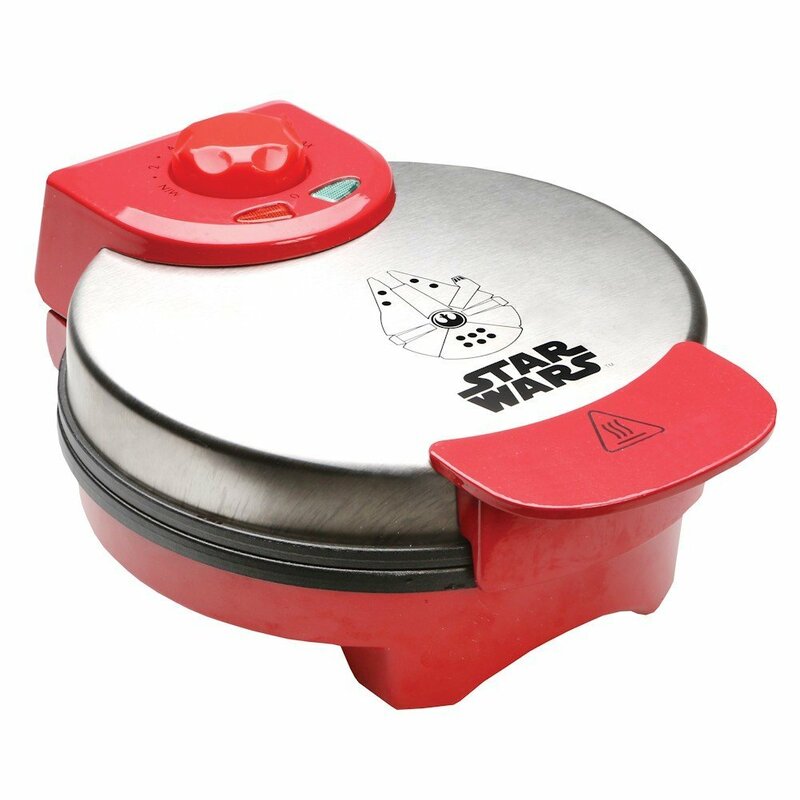 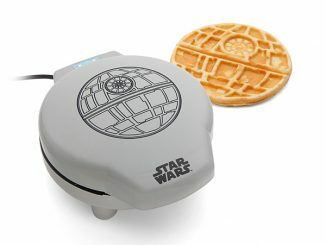 Check out the Star Wars Death Star Waffle Maker and the Star Wars BB-8 Waffle Maker.